For the past 19 years Alternative Impact has been building performance parts for riders of all calibers, from the weekend warriors to the everyday extremist. As you can see if you have compared our prices to others we are on the lower end of the scale in price and the upper end in quality and performance. Our titanium packages are never disguised with such things as bead blasting, wire wheel finishes, powder coating etc. to cover up imperfections. We do not add numbers to weights for an illusion of a lighter product. 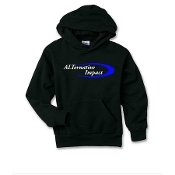 Here at Alternative Impact it’s honesty is the best policy, which gets harder to find in today's market. We still live behind our no B.S. Policy we did the day it was started and that will never change. All of our front a-arm kits have countless hours of testing to create arms that will withstand extreme punishment but also save bulk heads during an impact. Probably one of our best well know assets for sleds such as the extremely fragile Rev and XP chassis. Our bottom line as always is a better quality part from one end of the sled to the other at a price more people can afford. Alternative Impact #54 Fleshman crk. Rd.